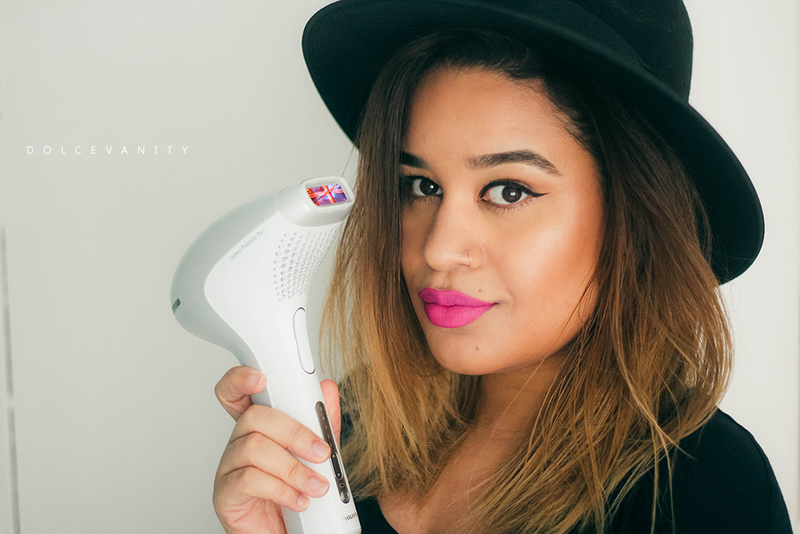 You know I'm all for hair removal and it's an honest pain for me so I'm doing something new at home for the next 8 weeks I'm going to be using and reviewing the Philips Lumea IPL Hair Removal System. Yes! In the comfort of my own home. I've noticed there's been queries on this already since an image was posted on instagram and I will continue to update all y'all interested via Twitter / Instagram and on here. After the 8 weeks are up I'll let you know how I fared with it overall. This nifty handheld device comes with 2 attachment's for the face and body areas, this model doesn't include the bikini attachment. It also has a storage/travel bag. I'm deciding to do it on -hopefully- my upper lip, underarm, arms and lower legs. It'll honestly depend of course my face is quicker than any other place but it's more so seeing how I get on. My upper lip, I wax or shave (mmmhmm!) I'm not about that hairy life and Lord God, I am hairy so the less work the better for me after this trial. My underarms I'd love to have smoother, lighter underarms, it's self conscious thing & wanting to wave my arms around like I just don't care but when there's dark marks, I've reserved to doing some type of shuffle dance. My legs obvious reasons, who doesn't want smoother legs? Am I expecting miracles? No. I am hoping for lesser regrowth and hoping that over time, I don't have to remove my hair as frequently. Every woman's dream. The thing that I can't deal with is, if I let my hairs run forrest wild for awhile, which ideally for me can take a week to grow a good amount of hair regrowth. I look at my hairs and think, I can't be bothered anymore, doesn't give me the freedom due to my laziness of hair removal to wear what I'd love to wear spur of the moment. I've charged it and done my skin test on different settings and I can handle 4/5 which is the highest but I will see how my skin reacts tomorrow and continue to do the rest. I don't want to deal with wax being left on my skin, ingrown hairs or dodgy grazed armpit marks. I want to be freeeee! So I'm choosing Lumea, the secret to beautiful hair free skin, for up to 2 months to help me with this!